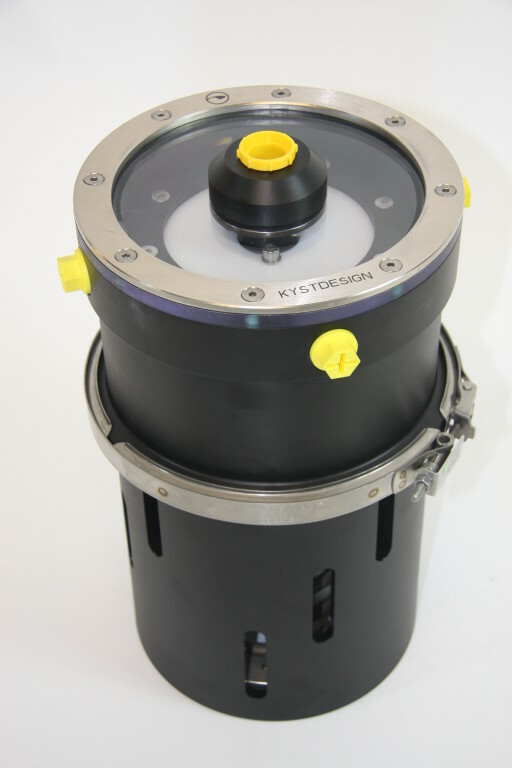 KYSTDESIGN offer a wide range of compensators for the subsea market. 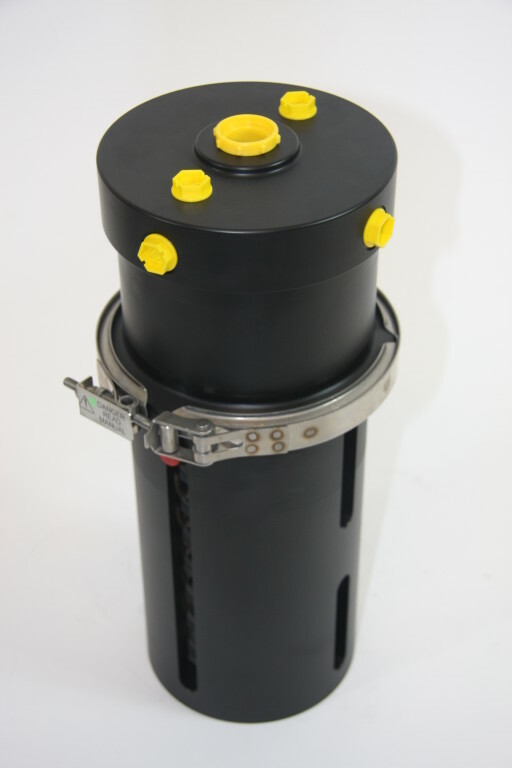 Our in-house designed hydraulic compensators vary in volume from 0.25 litre to 16 litre. 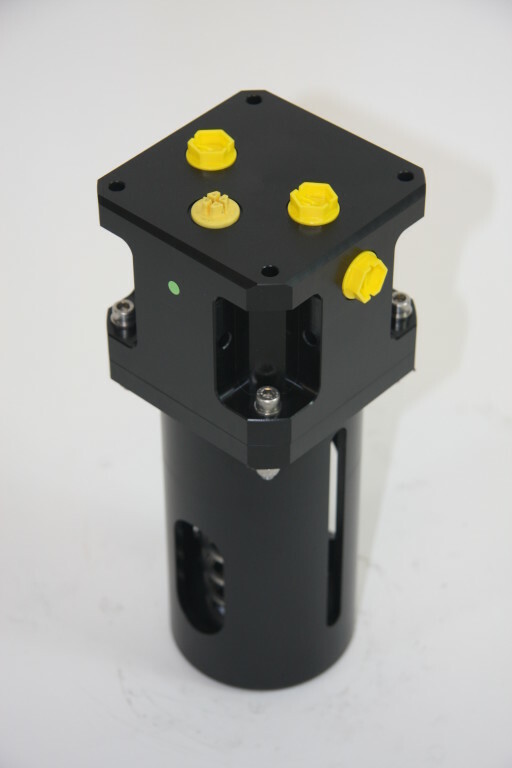 The 0.25 – 1.2 litre compensators all provide an interface which allows easy installation and stacking. These units, as well as the 2.5 and 6 litre are made from POM. 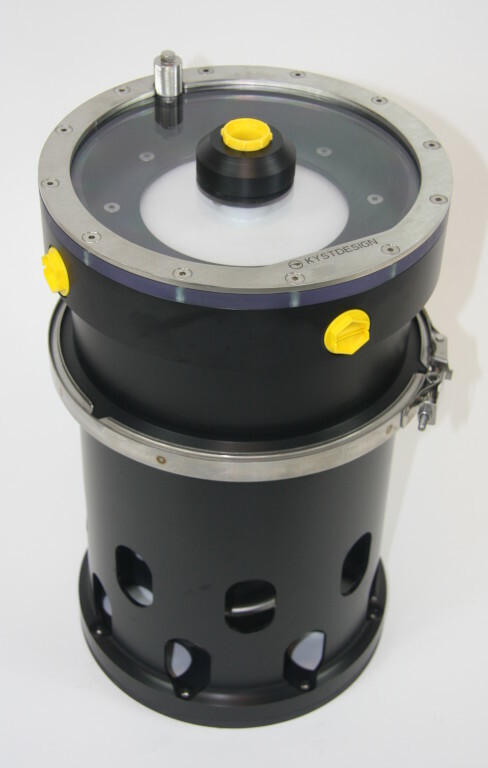 Anodized aluminium is used for the 10 and 16 litre units and the 2.5 litre high pressure compensator. The 1.2, 2.5, 6.0, 10 and 16 litre units can be delivered with analogue volume sensor. 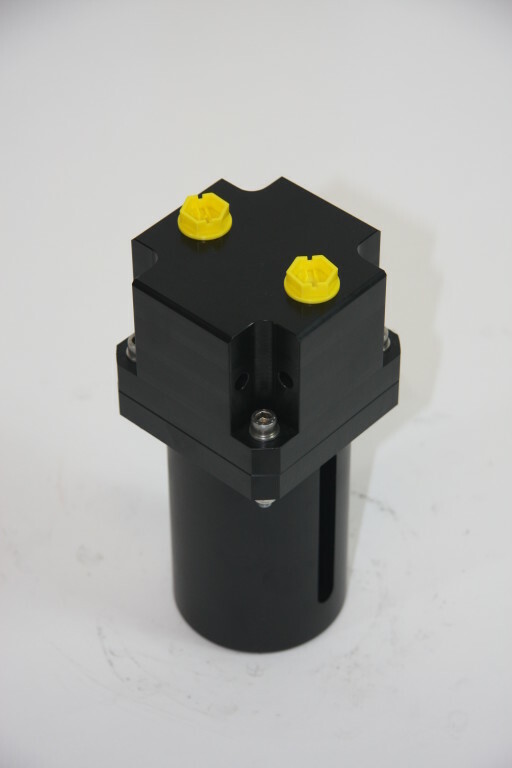 Even without volume sensor, the oil level can be visually read at a slot in the spring housing of all Kystdesign compensators (except for the 2.5 litre H.P.). The 6.0 – 16 litre compensators have transparent polycarbonate lids, enabling visual inspection of the fluid. 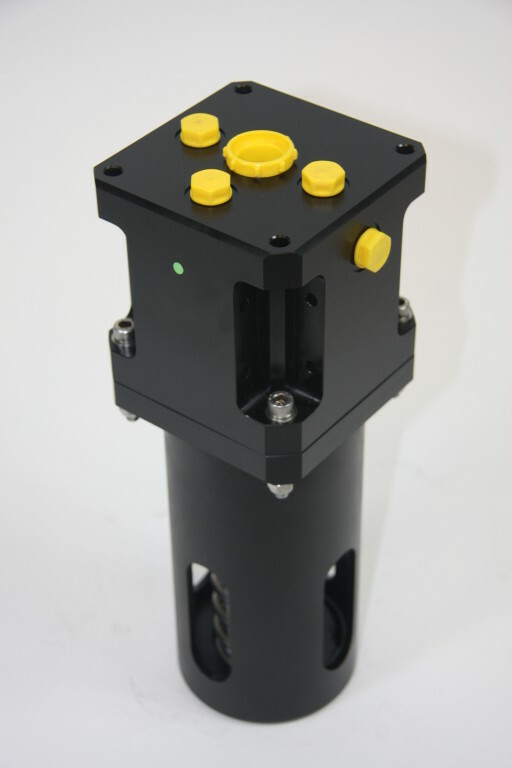 All compensators can be delivered with installation clamps. 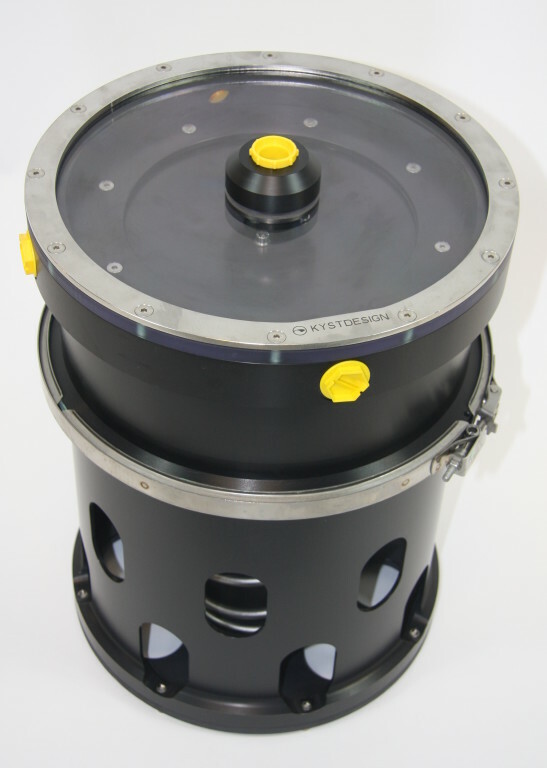 The 16 litre compensator can be delivered with a top manifold plate replacing the transparent lid. 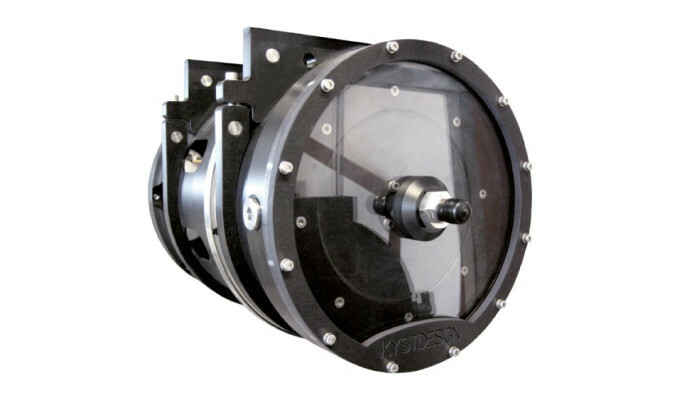 The manifold plate has universal interface for view ports and a wide range of standard connection ports, from 1-1/4″ BSP connection ports to 2″ hose bend.